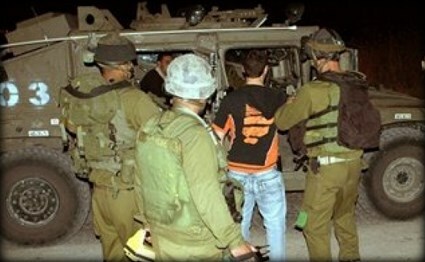 The Israeli occupation forces (IOF) at dawn Monday kidnapped eight Palestinian citizens from their homes during arrest campaigns in different West Bank areas. The Israeli media said the Israeli army detained eight wanted Palestinians and took them in for interrogation. Palestinian sources, in turn, said the detentions took place in Jenin and Nablus cities and their environs, adding that the IOF broke into and ransacked several homes during its campaigns. Four of the detainees are from Jenin and Qabatiya town and the others from Nablus and Askar refugee camp. Violent clashes broke out between citizens and the invading troops in Askar refugee camp, local sources reported. In a separate incident, the IOF on Sunday evening detained two Palestinian young men at Za'atara checkpoint, south of Nablus city. Eyewitnesses told the Palestinian information center (PIC) that Israeli soldiers at the checkpoint detained Naser Hasan and Hasan Abu Raida for more than an hour after forcing them to leave the car they were aboard and checking their ID cards. They said that an intelligence officer interrogated the young men before releasing them. The Israeli occupation forces (IOF) at dawn Monday raided the house of a senior Hamas figure in Bethlehem city at the pretext of looking for personal computers. Eyewitnesses told the Palestinian information center (PIC) that Israeli troops broke into and ransacked the house of senior Hamas member Sheikh Kareem Ayyad, 59, in al-Doha town, west of Bethlehem. A few days ago, the IOF also stormed and searched the house of Sheikh Ayyad one month after the detention of his son Mahmoud, who is a member of the association of Palestinian writers and an ex-detainee in Israeli jails. 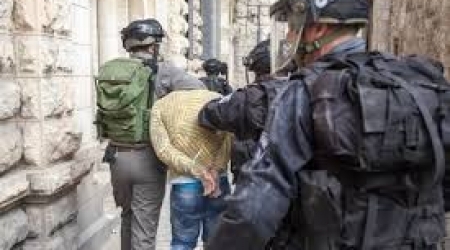 The IOF continuously carries out raids on homes of citizens, national figures and activists in the West Bank as part of Israeli suppressive measures aimed at preventing any resistance moves against Israel. In a separate incident, the IOF released on Sunday evening 35-year-old prisoner Majed Rabai'ah, from al- Ubeidiya town east of Bethlehem, after one year of administrative detention because of his affiliation with Hamas. A group of citizens from the town and his relatives received Rabai'ah upon his release. Scores of Palestinian young men suffered from inhaling tear gas during violent clashes on Sunday evening with Israeli police soldiers in the neighborhoods of Attur and Ras al-Amud, east of Jerusalem. 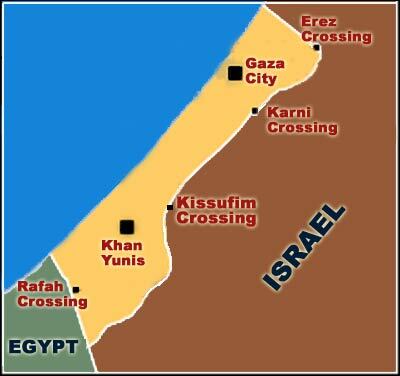 Eyewitnesses said the clashes broke out in Attur neighborhood after Israeli troops stormed Khila street. The angry young men responded to the firing of tear gas and rubber bullets by throwing stones and Molotov cocktails at the invading troops. Earlier on the same day, the Israeli police kidnapped three young men from the family of Abul-Hawa in Attur neighborhood on allegations of their attempt to stab a Jewish settler. 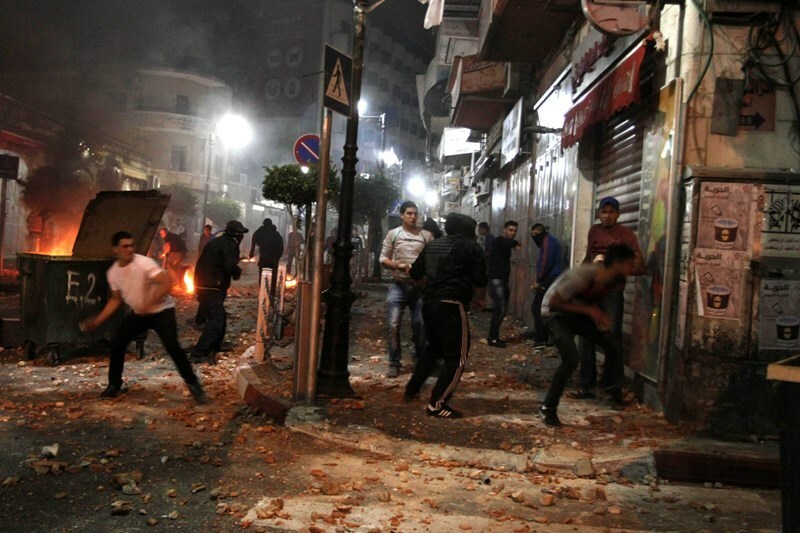 Similar clashes also took place in Ras al-Amud neighborhood. In another incident, special forces from the Israeli army invaded yesterday Wadi al-Joz neighborhood, east of the holy city, with no reported arrests or confrontations. Head of the Census Department of the Palestinian Committee of Detainees and Ex-Detainees, Abdul-Nasser Ferwana, stated Sunday that the Israeli army has kidnapped 6059 Palestinians in 2014. The former political prisoner said, similar to previous years, that the arrests carried out by the army targeted all sectors of Palestinian society, with a dangerous escalation in the abduction and imprisonment of children. 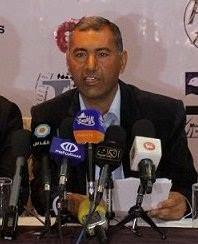 Ferwana also said that every Palestinian who was kidnapped and imprisoned by Israel was subjected to at least one form of physical or psychological torture, in addition to humiliation and abuse, either in public or in front of their families -- an issue which constitutes a direct violation of International/Humanitarian Law. Ferwana has called on all pertaining legal and human rights groups, as well as various media agencies, in order to highlight the detainees’ cause and the ongoing suffering of the Palestinian people, adding that detainees are subject to daily violations and assaults. Former Detainee, Director of Statistics Department in the Commission of Detainees and Ex-Detainees Affairs, and head of the committee to manage its office in the Gaza Strip. 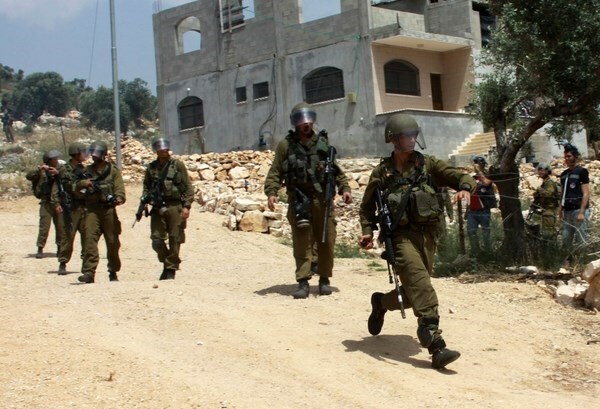 The Israeli occupation forces (IOF) at dawn Sunday kidnapped two Palestinian citizens from their homes in Halhul town, north of al-Khalil city, and physically assaulted another one in Surif town. Local sources told the Palestinian information center (PIC) that the IOF raided several homes in Halhul town and kidnapped two citizens identified as Tha'er Azzama'era and Islam al-Sa'da. The PIC was also told that a young man named Mustafa Agneimat suffered some bruises in his body when Israeli soldiers severely beat him during a campaign in Surif town, north of al-Khalil. In an earlier incident, Israeli troops on Saturday evening interrogated citizens in a Palestinian area near Salem military post, north of Jenin city, and launched a search campaign. Local sources reported that Israeli soldiers left the military camp and went to Haifa street near the junction of Zabuba and Romana villages where they stopped some young men and interrogated them. They added that a group of soldiers also combed the cultivated lands near their camp and the segregation wall. In a settler-related incident, a group of Jewish settlers from Mabo Dotan settlement, south of Jenin, assaulted on the same day a Palestinian shepherd and his two sons as they were grazing their cattle in a nearby area. Eyewitnesses told the PIC that an extremist Jewish settler, working as a guard in Mabo Dotan settlement and notorious for his violent behavior, attacked the shepherds at the pretext they were walking with their sheep on a land near the settlement. They explained further that the guard along with other settlers chased the shepherds, who are from Araba town in Jenin, and physically assaulted them, adding that the guard also threatened to take away their sheep if he saw them around again. The three shepherds are Imad Zuhair and his sons Samir and Khaled, and they have been bullied and physically assaulted more than once by Jewish settlers. Israeli Prison Services on Saturday banned Ahmad Saadat, the secretary-general of the leftist Popular Front for the Liberation of Palestine party currently being held in detention, from receiving visitors for three months. Saadat has been banned from receiving visitors since September, meaning that at the end of the new ban he will have been kept from receiving visitors a total of six months. The Popular Front for the Liberation of Palestine said in response that the decision is part of ongoing Israeli policies that target prisoners generally and the leaders of prisoners specifically. Saddat was being held in the prison as part of an agreement by Palestinian authorities with Israel, who claimed he was involved in the killing of the Israeli tourism minister in 2001 that took place in response to the assassination of the previous secretary-general of the PFLP. In 2008, Israel re-sentenced Saadat to 30 years in prison in a military trial for involvement in an "illegal terrorist organization" after holding him for two years without trial. Since then, he has been repeatedly placed in solitary confinement and restricted from receiving any visitors, including family. Israeli forces, Saturday, summoned seven Palestinians between the ages of 14 and 21 to appear before Israeli intelligence for interrogation. In addition, soldiers blocked the entrance of Beit Ikksa village, northwest of Jerusalem, according to local and security sources. Sources told WAFA Palestinian News & Info Agency that Israeli forces handed seven Palestinians notices to appear for interrogation after detaining them at an Israeli military checkpoint located at the northern entrance of the town of al-Taqou, east of Bethlehem. Six of the detained individuals are from al-Amour family and were identified as Mohammad, 14, Hamza, 16, Loay, 18, Mousa, 20, Ahmad, 21, and Alaa, 19. Forces also handed Khalil Tanooh a similar notice. Meanwhile, Israeli soldiers closed off the military checkpoint located at the entrance of Beit Ikssa, to the northwest of Jerusalem, preventing Palestinians from crossing and entering the village, thus isolating it from surrounding villages. Forces allowed only village residents to enter, while preventing the rest from crossing. WAFA notes that this military checkpoint is considered the only way to get to Ramallah and al-Bireh. 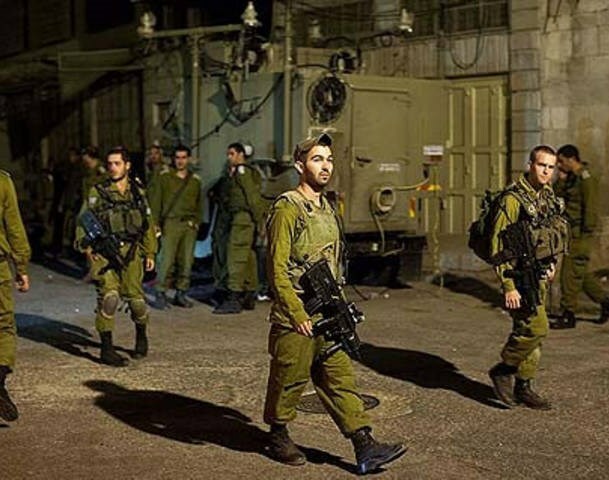 Undercover soldiers of the Israeli military kidnapped, on Friday evening, a young Palestinian man in Wadi al-Jouz neighborhood, during clashes that took place after the army invaded it. Army also kidnapped a child in Ras al-‘Amoud. Eyewitnesses said that the undercover forces assaulted the young Palestinian, causing various injuries, and moved him to an unknown destination. They added that local youths burnt tires, and hurled stones, empty bottles and Molotov cocktails at Israeli military vehicles and police cars near the entrance of the neighborhood. The youths also used fireworks while the soldiers fired rounds of live ammunition, rubber-coated metal bullets and gas bombs. 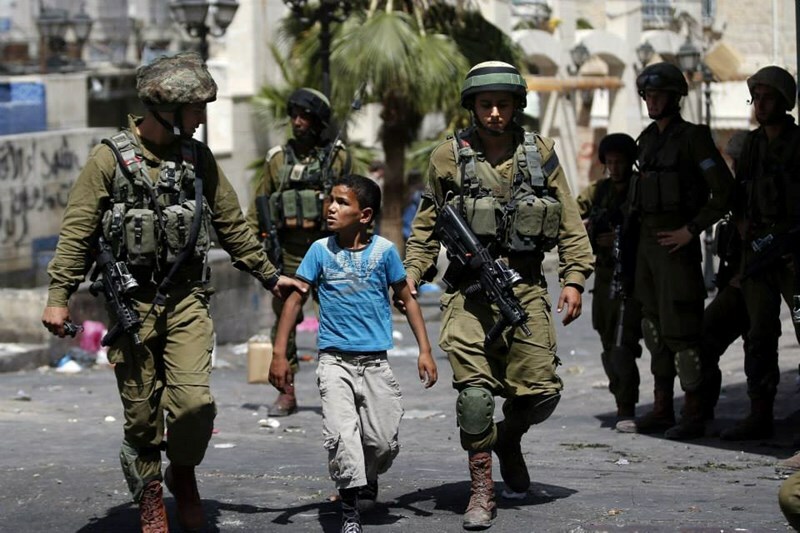 In related news, soldiers kidnapped a child, identified as Hamada Daoud Nasser, 13 years of age, in Ras al-‘Amoud neighborhood, and held him at an illegal settlement in the neighborhood. On Thursday, the soldiers kidnapped Hamada’s brother, Mohammad, and released him on bail, after ordering him under house arrest for two days. Earlier on Friday, soldiers kidnapped a child identified as Musallam Odah, and a young man, identified as Mohammad Sharwana, and held them at the al-Maskobiyya interrogation center for several hours before releasing them. 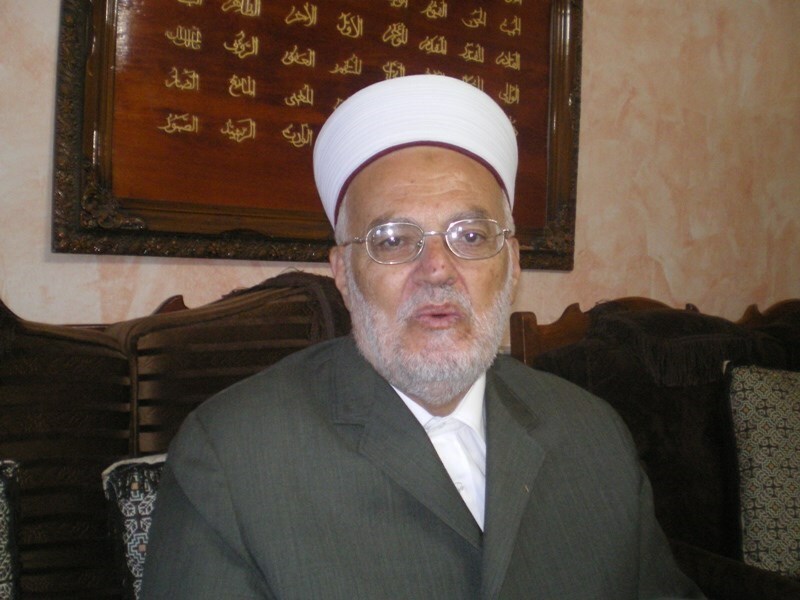 Al-Aqsa Mosque preacher Sheikh Ikrima Sabri condemned Friday Israel’s arrest campaign against Jerusalemites, for their Facebook posts, and its deportation policy. During the Friday prayer sermon, Sheikh Sabri said that several Jerusalemites were arrested recently for expressing themselves on Facebook posts under the pretexts of inciting violence. He also slammed the Israeli Foreign Ministry’s letter to foreign embassies claiming that the Qibli (grey-domed) mosque constitutes al-Aqsa Mosque that belongs to Muslims, while the remaining areas of the Noble Sanctuary is the "Temple Mount”. He confirmed that al-Aqsa Mosque is a place name for the entire Noble Sanctuary that is surrounded by a fence over an area of 144,000 square meters. It includes Qibli Mosque, Dome of Rock, Musalla Marwani, Ruwaq (hallways), domes, waterways, gates, several minarets, and all what is found over and underneath that area. He finally stressed the importance of intensifying Palestinian presence in al-Aqsa Mosque. A Palestinian man who was apparently attempting to cross the border from Gaza into Israel for work was shot by Israeli troops on Friday. Two workers were apparently attempting to cross the border in the early hours of Friday morning when they were spotted by the Israeli soldiers stationed at the border and shot. One of the two men was hit, and wounded in the leg. The wounded Palestinian has not yet been identified, but both he and his companion were taken into custody by Israeli troops for interrogation. An Israeli army spokesperson confirmed the shooting, which they said occurred when the two men entered the 'kill zone' along the border. The economy of Gaza was largely dependent on Palestinians working inside Israel, which made up around 50% of Gaza's economy before the Israeli government imposed a blockade on Gaza in 2007. Since then, Palestinian workers from Gaza attempting to enter Israel have had to do so in violation of the blockade, since no work permits have been issued in the last seven years. They have been subject to abduction, interrogation and dozens have been shot and killed attempting to cross the border for work. Three Jerusalemite children were nabbed at dawn Friday and transferred to Israeli detention centers in occupied Jerusalem. Local sources confirmed that large numbers of Israeli soldiers violently stormed Mussa Owda’s home in Silwan town to the south of al-Aqsa Mosque and arrested his 15-year-old son Muslim. Muslim has been previously detained for 18 times by Israeli forces, while two other children were nabbed in Ras Amoud neighborhood. Every year, there are about 500-700 Palestinian children held captive in Israeli prisons, many as young as 12. The most frequent charge is stone throwing. In contrast to their Israeli counterparts, Palestinian kids do not have a right to be accompanied by their parents during questioning. During their detention, Palestinian children are being subjected to torture and sleep deprivation. The Israeli occupation forces (IOF) at dawn Friday rounded up eight Palestinian civilians, including minors, from Azzoun town, east of the northern West Bank city of Qalqilya. By-standers at the scene said the mass-abduction campaign cropped up as the IOF troops stormed the town and scoured Palestinian family homes. A PIC journalist identified the captured civilians as 16-year-old minor Zahran Sweidan and 17-year-old boy Fahmi Nael Tabib, along with Akrema Mohamed Dahbour, Alaa Salim, and Mootassem Zahran aged respectively 22, 25, and 24 years old. The IOF raided Azzoun town at about 2 a.m. moments before they sealed off all main entrances to the area and cordoned it off. At least 12 Palestinians were kidnapped by Israeli forces on Christmas Day, during predawn raids in the occupied West Bank districts of Nablus and Hebron, and in occupied East Jerusalem, according to reports by local and security sources. 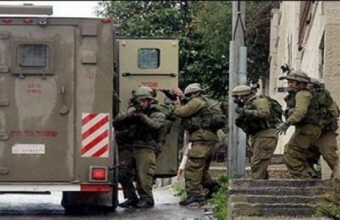 WAFA Palestinian News & Info Agency reports that Israeli army forces broke into the city of Nablus, in the northern West Bank, where they arrested six local residents identified as: Murad Makhlouf, 25, Mohammad Meshal, 25, Muammar Jamous, Mohammad Kaddumi, Abdullah Sheberi and Amjad Abu Rabee. Israeli soldiers also stormed the nearby village of Kafr Qalil, where they took Alaa Mansour, who is said to be a warrant officer with the Palestinian police. Forces also raided the city of Hebron, in a search campaign to arrest Salaheddine Qawasmi, age 22. 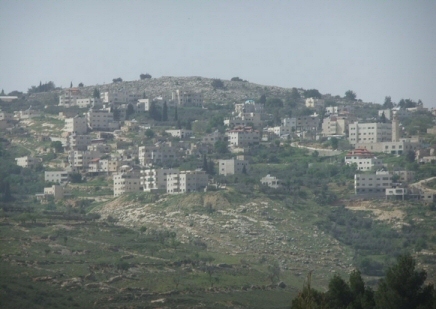 Soldiers stationed at the entrance of the nearby town of Beit Ummar reportedly assaulted a local resident with a stun baton before taking him. He was identified as Mohammad Maharmeh, age 23. Meanwhile, Israeli police broke into the neighborhoods of Issawiya and Sur Baher, in occupied East Jerusalem and abducted three Palestinians. Two were identified as Hassan Jamjoum and Ali Darwish. Army forces additionally stormed the village of Araqa, to the west of Jenin, where they raided a house and interrogated residents. WAFA further reports that most of these daily arrests are carried out during the night and before dawn, spreading panic among civilians, especially children. The Israeli military, nevertheless, claims that night raids, unlike day raids, are to minimize contact with angry local residents and the outbreak of clashes. Ahrar Center for Prisoner Studies and Human Rights said that Israeli forces seized about 70,000 shekels after breaking into home of 52-year-old Ahmed Shubeiri, in Qarboun village, near occupied Nablus. According to the PNN, Ahmed is father of Ali Shubeiri, who has been imprisoned for over a year now. The family told Ahrar that soldiers brutally broke into and raided their house after midnight, claiming that they were searching for arms. University student Abdullah Shubeiri, age 20, was abducted and taken to an unknown destination. The family said that the soldiers took from them 7,000 Jordanian dinar and 25,000 Israeli shekels, amounting to some 70,000 shekels total. Ahrar's director, Fuad Al-Khuffash, condemned the action, saying that it was actually theft and not the first incident of of its kind among Israeli soldiers.